You grew up in a big family! How many brothers and sisters do you have and where do you fall in line? That’s true! I am the 5th of 7 children. My parents had 5 boys and 2 girls. A veterinarian. My grandpa was a large animal veterinarian in rural Idaho and I always admired his ability to help sick animals and how much the community appreciated his hard work and efforts. As I got older I began to expand my scope. I decided to shadow local dentists in Columbus to get insight into what the job entailed. After getting a chance to see the profession up close, I decided that I enjoyed working with people more than animals…It’s nice to have someone be able to tell you what is bothering them! Your dad was an incredible man – an entrepreneur, a family man, and a great example to his children – how has your dad inspired you to become the person you are today? I think his hard work is a value that I have continued to strive for after seeing the example that he and my mother, Kathleen, exhibited throughout their life. They never took a day off. The amount of love and care exhibited by family and friends for my parents has probably proved to be the biggest inspiration. Why did you create Chuck’s Cans for Kids? My mother told me that she wanted to start some type of fundraiser or way to give back to the community to help honor my father’s memory about three years ago. And we developed the concept of Chuck’s Cans for Kids to benefit children in Central Ohio struggling with food insecurity. It has been very rewarding to see the positive response and engagement within the team and community. You have a beautiful wife, and two gorgeous children, how do you balance life as a father, husband, business owner, and doctor? It’s a daily challenge. I have learned that being a business owner requires you to expect the unexpected on a daily basis. It definitely impacts the ability to maintain balance between work and home but, luckily, I’ve got an amazing wife who is very understanding of the fluidity of my schedule and can help me prioritize. We actually met in ninth grade in high school. We dated briefly in high school but our lives went different paths. We went to separate colleges and had very different careers throughout our twenties. We remained friends and always kept in touch despite not having the modern amenities of Facebook or cell phones. 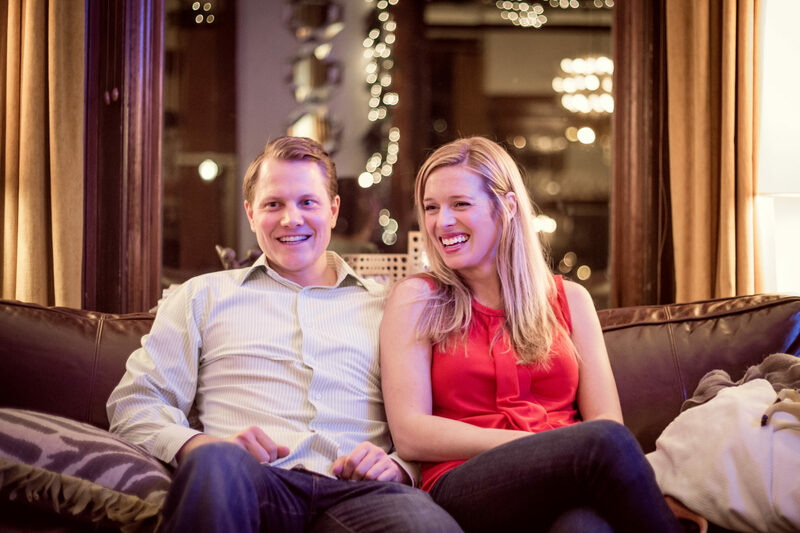 It wasn’t until our early thirties that we began dating and fell in love. She’s incredible and marrying her was the best decision of my life. Tell us about your kids. I’ve got two sons. 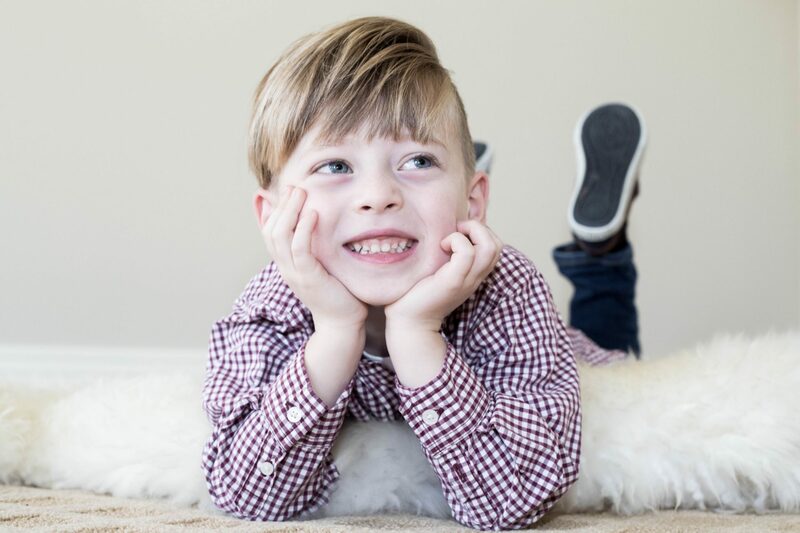 Leo, is four years old and currently obsessed with Star Wars and Santa Claus. 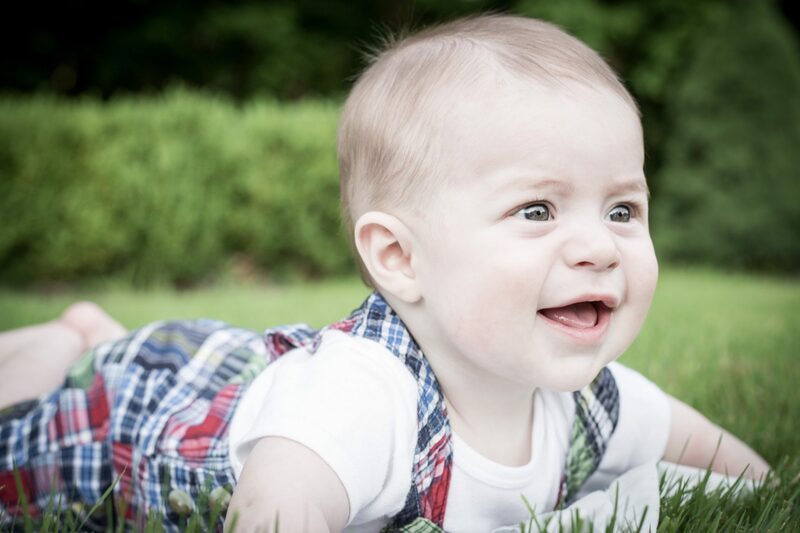 Beckett is one year and keeps us on our toes. Leo is more cerebral and reserved while Beck is more extroverted and is showing signs of being a thrill seeker by trying to jump head first off his changing table several times a day. Its Friday night and you are…. Home with my wife and my kids, and hopefully in sweat pants ???? Little to no pop for me! I used to prefer Coke but it’s absolutely horrible for your teeth and has no health benefits. The only time I will occasionally drink pop is when I am eating pizza. Thats’ tough -I love the new friendships that I’m able to build with patients and staff. Life gets very busy and I am privileged to have a job that allows me to connect with friends and family daily. But if I had to pick one aspect of the job to be my favorite it would simply be helping people. It is phenomenally rewarding to be able to give someone the smile they deserve and see their confidence skyrocket! If you had a song for the soundtrack of your life, what would it? Do you really floss every day? I try to but nobody is perfect ? If you could have coffee with anyone past or present who would it be and why? Elon Musk. I am amazed by great leadership and I think that he’s truly a visionary. There are many people that I would love to meet from the past but I feel like Elon Musk would allow me to peer into the future. Its your last day on earth – what are you eating?! Filet medium rare with a loaded baked potato, corn maque choix, and bread pudding for dessert. 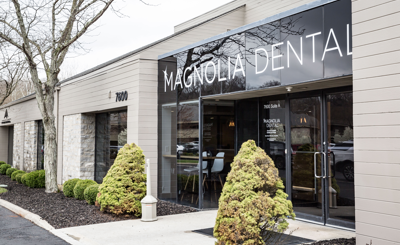 Tell us why we should make Magnolia Dental our family dentist? Because we’ve got an exceptional team that has an unwavering commitment to our patients health. We practice golden rule dentistry meaning that we treat every patient exactly how we would want to be treated.